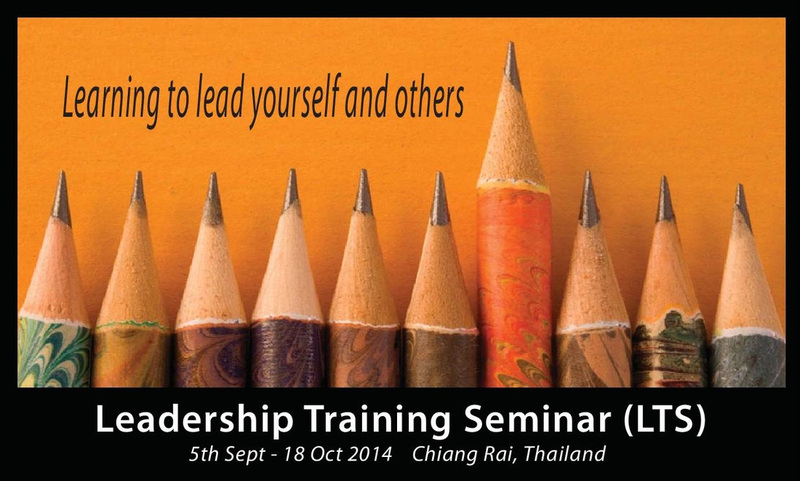 Leadership Training Seminar (LTS)5th Sept - 18 Oct 2014 - Chiang Rai, ThailandThis LTS is designed for YWAM leaders who are specifically looking to know how to lead themselves and lead others. The seminar has two main features. Firstly, it is to help you lead small YWAM communities - bases and ministries of between 10-50 staff. Secondly, it is designed to help you know how to create learning communities within the teams that you lead that will encourage personal growth and multiplication of leaders. The primary learning process will be through group facilitation, mentoring and coaching. The 6 week LTS will be facilitated by Alan and Susie Lim (UofN Bali), Paul and Penny Wilcox (YWAM Thailand), Steve and Wendy Wells (YWAM Malaysia) and other leaders in the region. SpeakersInvited speakers, (to be confirmed) will be a mixture of live and through Skype, include Loren and Darlene Cunningham (YWAM Founders), Jim Stier (YWAM Americas), Tom Hallas (YWAM Asia Pacific), Lynn Green (Global Elder), Peter and Shirley Brownhill (YWAM Perth), James Chan (YWAM Singa- pore) , Ros Jackson (YWAM Vietnam), Phil Porter (YWAM Thailand), and others. Completion of DTS or CDTS with field assignment. Minimum of 3-5 years as YWAM staff. For a list of all the countries classification of A,B or C, please click here. Does not include your transport to Chiang Rai or visa costs.